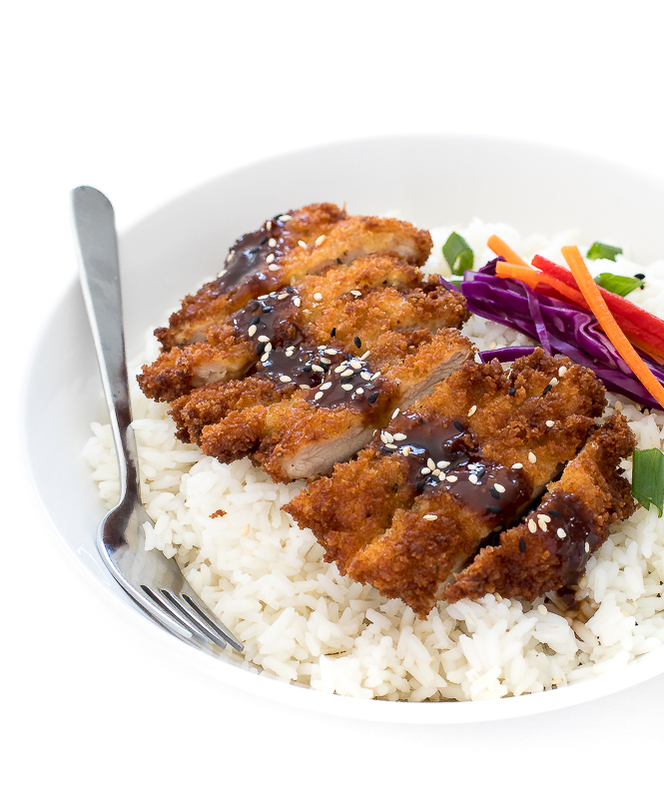 Chicken Katsu. A Japanese Style chicken cutlet breaded and fried until crispy. Served with a Tonkastu sauce over white rice! 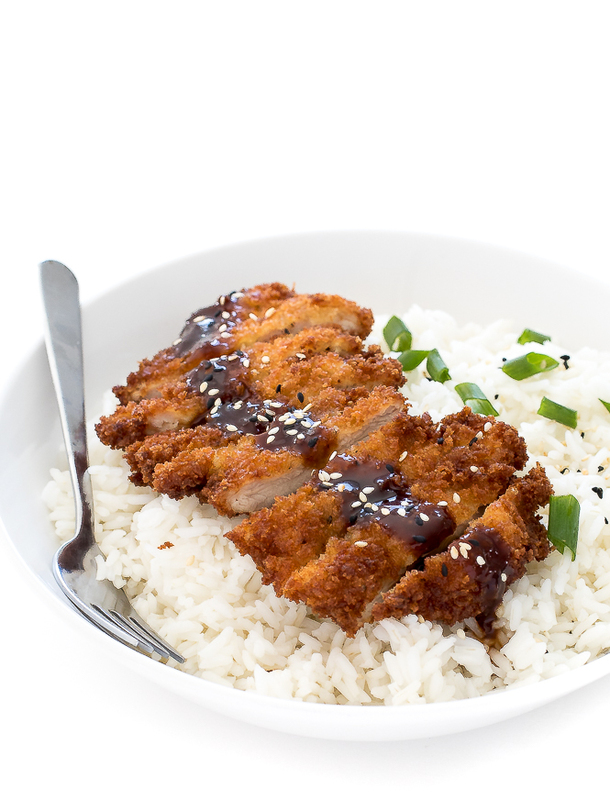 Chicken Katsu is the perfect weeknight dinner. It is super simple to make and tastes amazing! 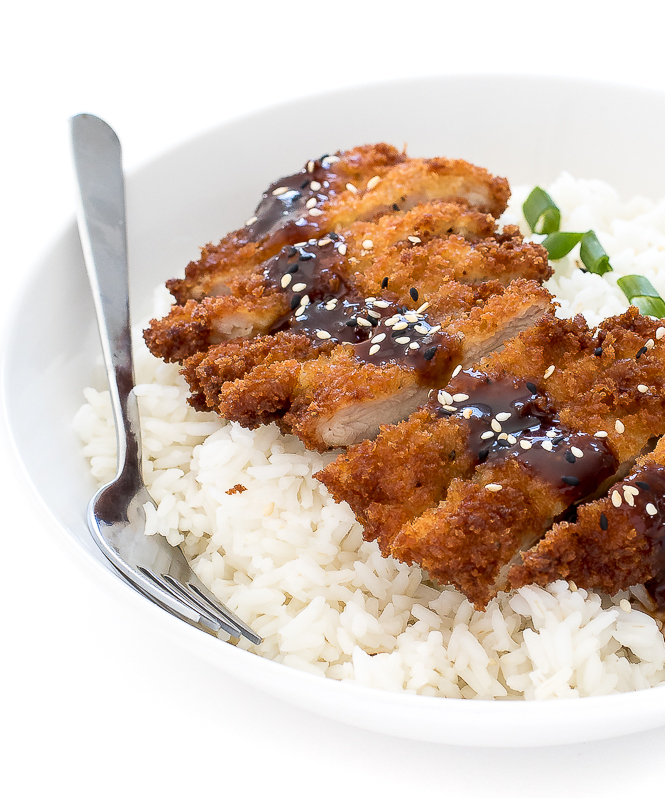 Chicken Katsu is a Japanese style chicken cutlet that is breaded then fried. It comes out super crispy on the outside and perfectly tender on the inside. The chicken typically gets served with Tonkastu Sauce. It’s a Japanese sauce that’s tangy, rich and slightly sweet. You can get Tonkastu Sauce at an Asian grocery store of make your own version at home. Just like when making my Chicken Parmesan. I pound out the chicken so it is super thin. This helps the chicken cook evenly and not get dried out. Next I season the chicken with salt and pepper then dredge it in flour, then egg then panko breadcrumbs. I fry the chicken one at a time until golden brown. I serve them immediately over white rice with Tonkastu Sauce ontop! Start by pounding each chicken thigh to 1/2 inch thickness. Sprinkle each chicken thigh with salt and pepper. Add flour to a small shallow bowl. Whisk egg and add to a small shallow bowl. 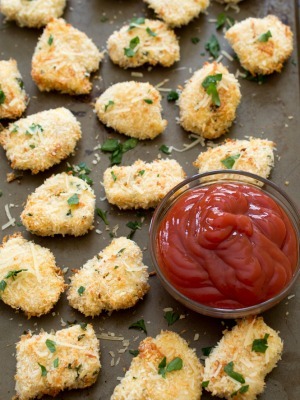 Add panko breadcrumb to a small shallow bowl. Starting with the flour dredge chicken one at a time then into the egg then into the panko breadcrumbs until fully coated. Heat a large pot with oil at least 2 inches high to 350 degrees. When the oil is hot add in chicken one or two at a time and cook for 3-4 minutes on each side or until fully cooked. Place chicken on a plate lined with paper towels and allow the chicken to rest for 2 minutes before slicing. 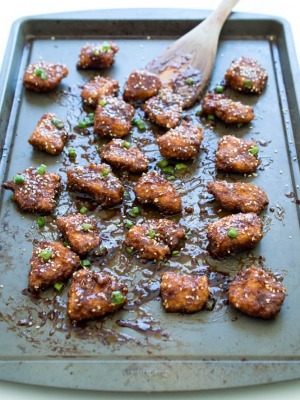 Serve immediately with white rice, tonkatsu sauce, green onions and sesame seeds for garnish, if desired.